Though the superhero phenomenon is principally looked upon as an American institution, superhero films are becoming increasingly common around the globe as well with different nations creating their own local heroes. And Russia is about to get into the game in a significant way with the Saric Andreasyan directed Guardians. Though not due for release for some time yet they have released a first teaser for this one and it promises dark, glossy stuff, with a look more in the Nolan vein than Marvel's brighter palette, though the current 6+ rating (which may just be for the teaser) implies something quite different. Regardless, it's interesting stuff, take a look below. 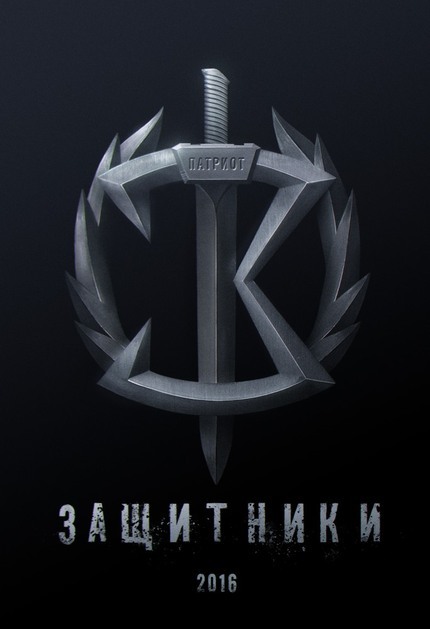 Russia is getting an original superhero team to call their own with the upcoming GUARDIANS. Check out the first teaser! nice! any date for release? Looks pretty good! I even felt a bit of Zack Snyder vibe here watching the trailer...I wonder if this is based on any Russian comic book characters? In Soviet Russia, Hero Film Watches You! At the end of the film, a shirtless Putin comes riding in on horseback and kills them all. Carl wins the internet today. I know there's not much info about it, but I'm quite looking forward to this film. What is the name of the SONG?! The team name should be Defenders. Guardians would be Strazhniki. Oh, I've seen Black Lightning. It's quite fun! I'd consider it more of a scifi adventure film than a superhero picture, though, as the lead has no powers of any sort, he just finds a car that flies. As for Guardians: from what I have seen in the trailer, this too may be a lot of fun to watch! Thanks for posting the trailer. I am definitely going to keep my eye out for this one, for sure!